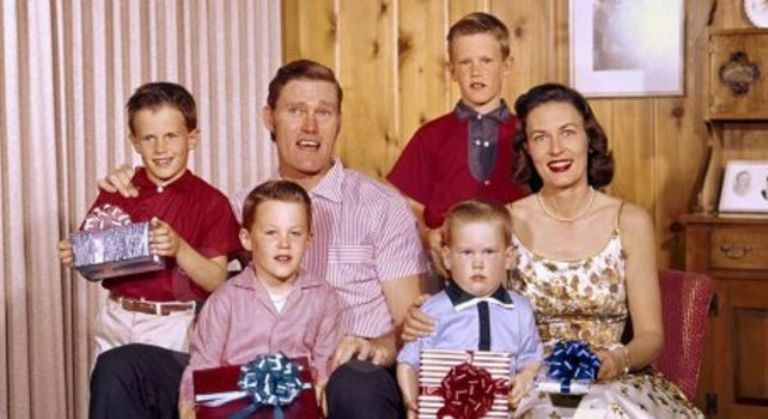 One of the leading men on the classic westerns shows from the ’60s to ’80s was larger than life personality, Kevin Joseph Aloysius Connors professionally known as Chuck Connors. He started his career as a professional athlete before deciding to pursue a career in acting. Famed for his role as Lucas McCain in the hit ABC series The Rifleman, he is also a writer of impeccable strokes. He proved his elite athleticism by becoming one of the only 12 athletes in the history of American professional sports to have played both in the MLB and in the NBA. After playing the titular cowboy on The Rifleman, he became a string of sinister bad guys. He spent the later part of his life on charity causes. Chuck Connors used his fame to raise money for disabled children through golf tournaments. Let’s dig deep into the life of one of the greatest actors that ever lived. The rifleman was born in Brooklyn, New York on Sunday, the 10th day of April 1921 to Canadian immigrants of Irish descent, Marcella (née Londrigan) and Alban Francis “Allan” Connors as the elder of their two children. His younger sister named Gloria was welcomed 2 years after him. From an early age, he began to show adept giftedness in athletics and was a devoted fan of the Brooklyn Dodgers of the Major League Baseball. In time, he earned a scholarship to the Adelphi Academy, a preparatory school in Brooklyn, where he graduated from in 1939. He then proceeded to Seton Hall University in South Orange, New Jersey where he played both basketball and baseball for two years before going into professional baseball. While in the school, he also changed his first name to Chuck, a nickname that stuck to him for his repeated use of the word during play in the baseball team. He played on two minor league teams in 1940 and 1942 before enlisting in the Army at Fort Knox, Kentucky following America’s entrance into World War II on October 10, 1942. Four years later, he was released from his obligation to serve in the military after which he joined the then newly formed Boston Celtics of the Basketball Association of America. Either due to loss of enthusiasm for the sports or the effects of the war on him, Chuck Connors played 53 lackluster games before leaving the team and basketball at the onset of the 1947-48 season. He took to the bats once again and played for the Brooklyn Dodgers in 1949 and the Chicago Cubs in 1951 before going into acting. In a career that would span four decades, Connors appeared both on the small and big screens. The 6’6″ stud began his film career in 1952 with Pat and Mike and the following year, he starred in South Sea Woman and then opposite John Wayne in Trouble Along the Way. He played the titular role in the 1962 western film and further came to prominence in the late ’60s and ’70s with roles in Kill Them All and Come Back Alone (1968), Embassy (1972), the absolutely legendary Soylent Green (1973), the teen slasher flick Tourist Trap (1979). On television, he is best known for his five-year role as Lucas McCain in the highly rated ABC series The Rifleman (1958–1963). Johnny Crawford who played Mark McCain, Lucas’s son and Connors reprised their roles as in a TV western movie, The Gambler Returns: The Luck of the Draw (1991). He guest-starred in a number of shows, becoming a loveable television character actor. Others include lead roles in Arrest and Trial (1963-64), Branded (1965-66), Cowboy in Africa (1967-68), The Yellow Rose (1983-84). After The Rifleman, Chuck Connors took a hard turn and played against type. His body physique portrayed him as an imposing villain and it often influences his roles. He played diverse roles like bombers, assassins, brutish bodyguards, crooks. He even played a killer with garden shears. On television, he also played as a slave owner, Tom Moore in the miniseries Roots which earned him an Emmy nomination. Connors was a man of many hats who drew immense success from the various ventures he was involved in. His net worth is estimated to be at $5 million. Chuck Connors was an incredibly handsome man and was widely known to be a social butterfly. With his strong athletic physique, iron jawline, bold blue eyes, and deep commanding voice, he must have been a sight for both men and women. If any of the above would go to say something about his sexuality, a man who married three times could not be confidently called gay. Connors was first married to Elizabeth Jane Riddell Connors from 1948 to 1961. Two years later, he tied the knots with his co-star in Geronimo (1962), Kamala Devi. The duo also shared the screen in other works such as Branded, Broken Sabre and Cowboy in Africa before their divorce in 1973. His last and shortest nuptials was to Faith Quabius who played an attendant in Soylent Green. They were married in 1977 and divorced in 1979. He was in a relationship with Rose Mary Grumley before his death. He had four sons with his first wife; Michael (1950-2017), Jeffrey (1952-2014), Stephen (born 1953), and Kevin (1956–2005). His son Jeffrey joined him on The Rifleman set in 1959 as Toby Halperin in the episode Tension. He is also an author known for Strength Coach: A Call to Serve (2013). He died from the complications of outpatient surgery on February 19, 2014. 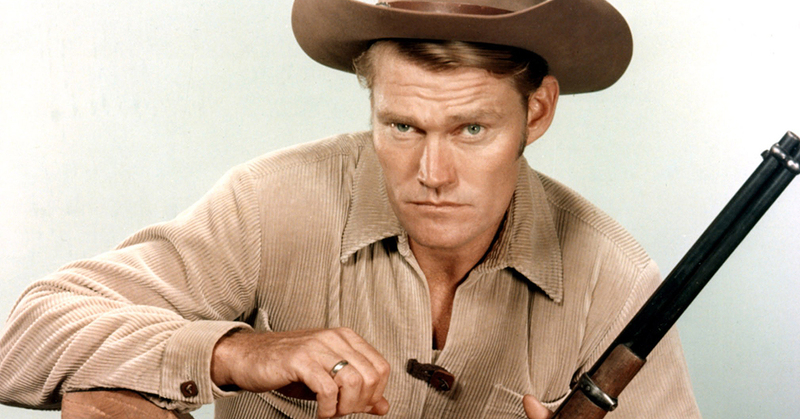 Screen veteran and TV tough guy, Chuck Connors was a longtime smoker and three weeks before his death, he was hospitalized with pneumonia stemming from lung cancer. He breathed his last on November 10, 1992, at Cedars-Sinai Medical Center, Los Angeles at the age of 71 and his body was interred in the San Fernando Mission Cemetery in Los Angeles.